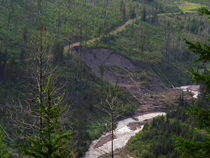 But we provide two short action alerts where, in minutes, you can object to grizzly bear delisting and help get motor vehicles out of Krause Basin in the revised Flathead Forest Plan! 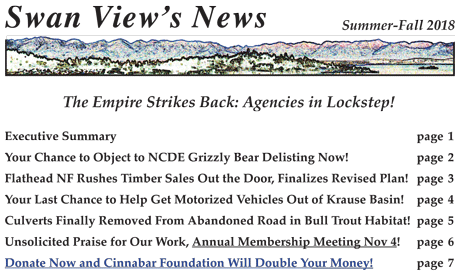 Below is our newsletter's table of contents. Click here to view or download it as a pdf. Join others in supporting our work now and Cinnabar Foundation will double your donation! Fish, wildlife and people are counting on us - and you!